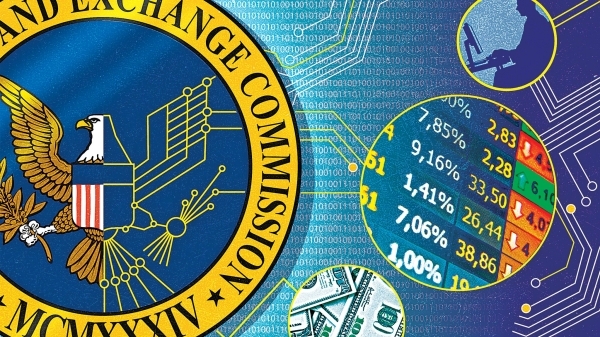 “The U.S. Securities and Exchange Commission (SEC) is issuing this sources sought notice as a means of conducting market research to determine the availability and technical capability of large and small businesses to provide blockchain data to support the SEC’s efforts to monitor risk, improve compliance, and inform Commission policy with respect to digital assets. The SEC is seeking sources for a data source (subscription), which extracts blockchain data and parses this data to make it easily reviewable. Responses are required by the 14th of February with it unclear what exactly SEC has in mind but since 2017 they have been deeply involved in the crypto space. They have exerted jurisdiction over Initial Coin Offerings (ICOs) with only two cryptos designated as non securities: bitcoin and ethereum. Blockchain data might assist them in determining crypto ownership. That would be very useful in determining whether a crypto or token is a security because SEC has stated the more decentralized it is – and thus presumably the more distributed the ownership – the less likely it is a security. Another area might be price manipulation with SEC’s main reason for rejecting a bitcoin or crypto ETF being their claimed inability to surveil trades and thus to determine whether there has been any price manipulation. They specifically require the ability to provide “attribution data (i.e. to whom a particular address belongs).” A difficult task, but not in most cases if sophisticated analytical methods are used. SEC then could potentially surveil the blockchain itself, so suggesting an ETF is perhaps not that much off the table now that regulated futures account for a considerable percentage of trading volumes and following the signing of a surveillance agreement by seven crypto exchanges. These blockchain analysis capabilities may in addition provide better insights into the crypto economy, so allowing SEC to make better informed decisions on a number of aspects that significantly affect this space.